Take Italy first. Mario Monti’s administration in Rome could have hardly hoped for a better outcome since taking office. After successfully passing a new austerity bill with widespread support (tellingly dubbed “Save Italy”), it is about to embark on much more crucial reforms to decrease labor costs and improve the country’s growth profile. This involves taking on special interests and staying the course against onslaught from powerful unions. The goal, however, is worthy—and the public seems steadfastly supportive. 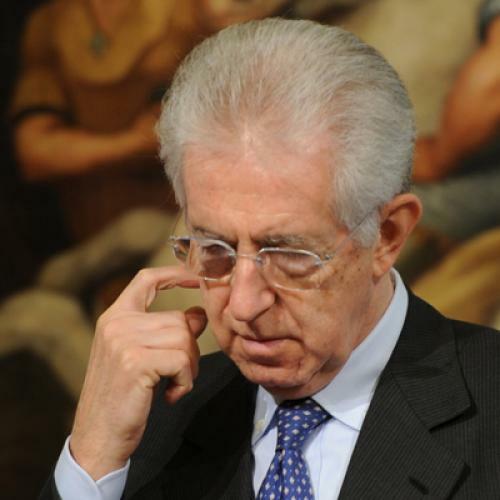 Though there have been some strikes, even Monti has expressed amazement at the level of general support in the country. In Greece, meanwhile, the situation could hardly be more different. Prime Minister Lucas Papademos has struggled to reach an agreement with international creditors over a debt write-down and, even if that hurdle is surmounted, he will have to negotiate Greece’s second international bailout in two years. Internally, however, he has failed in large part due to opposition from within his own government. The crucial difference lies in the composition of their respective administrations. Papademos is the only non-politician in a government otherwise resistant to change. Thus, after only four months in office, he has already had to struggle with political posturing from within the ranks of his own administration. That pales in comparison, of course, to the resistance offered by the opposition in Parliament. There, a revived New Democracy party, led by Antonis Samaras, and the disgraced Socialist Party of former Prime Minister George Papandreou (a former roommate of Samaras’, now unsurprisingly estranged) are taking turns undermining government reforms, positioning themselves for the general elections scheduled for April. In contrast, Monti’s government is formed exclusively of unelected technocrats who support his agenda. He was also clever enough to negotiate a period of at least eighteen months in power before taking office, promising not to run for election thereafter. This appeased the political parties in Parliament, who know they will have plenty of time to undermine him come 2013. But in the meantime, they have taken a break from the political talk show circuit and voted for reforms. All this suggests the way technocratic administrations are formed matters crucially for their effectiveness. Ultimately, technocrats need not only the right answers, but also the political latitude to implement change. The reforms they prescribe cannot be achieved on short and strict time-tables, or, for that matter, amidst opposition from their own ministries. But Monti has proven that, given proper political latitude to operate, technocrats do have an important role to play in Europe. Indeed, it’s no accident that they have been called upon (admittedly, with varying degrees of success) to resolve some of the continent’s trickiest debt problems. It’s precisely because they are not beholden to any particular interest groups in the present that they can more clearly consider a country’s obligations to future generations. If the technocratic administrations do as they promise, they will honor this intergenerational commitment, helping make not only the European project more sustainable, but also—by considering those that cannot (yet) voice their opinions—more fair. After all, this is ultimately what Europeans want. The technocrat efforts of Monti and Papademos reflect the stated desire of their respective electorates for further European integration and stability. Indeed, all Europeans want to avoid a shipwreck that tears apart the continent’s paramount political project. But that project may yet run aground—all because the people of Greece didn’t realize that a fully technocratic administration would prove more effective than a political administration ruled by a technocrat. Pierpaolo Barbieri is Ernest May Fellow at the Belfer Center for Science and International Affairs at Harvard Kennedy School. His book, Hitler’s Shadow Empire: Nazi Economics and the Spanish Civil War, will be published later this year.